I am running away this weekend. Escaping the crowds. Off to a beach. The beach in question might be in Cornwall rather than in Australia, but it all fits in fairly well with our theme image this week. So I will not be posting a Sepia image, but I will do my best to take one and share it with you on my return. 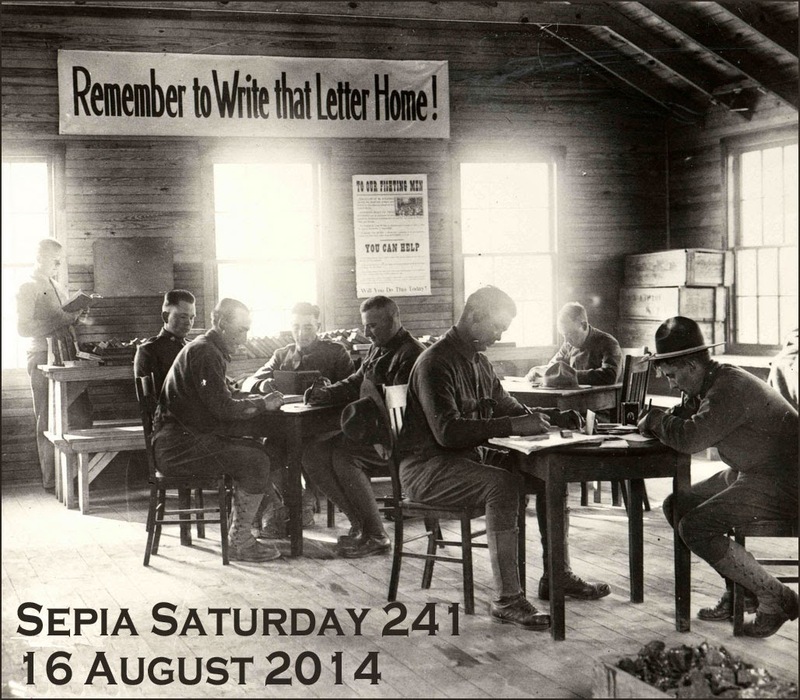 For the rest of you who are not able to escape to the seaside, you can submit your Sepia Saturday posts on or around Saturday 30th August and then link the post to the list below. Before you catch the train and head for the coast, take a look at what is around the Sepia Saturday corner. I'm off to find my bucket and spade. Off to pack my bags. Of to the sun (or, according to the latest weather forecast), off to heavy showers and strong westerly winds. See you soon. I have never been a fan of fans. Whether they are slats of painted paper or those large metallic jobs that whirr around and threaten to lift your hairpiece into space, I would never volunteer to act as secretary of their fan club. I come from Yorkshire and there are few occasions in life where you are in need of an artificial breeze in these parts. I am not into national costumes either other that the flat cap which is a compulsory part of the uniform in these parts. But this is not about me. 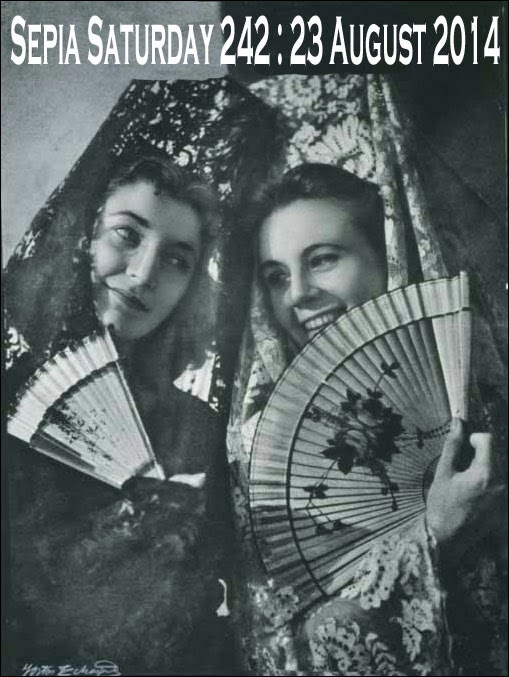 It is about all those generations of people captured in our sepia archives. 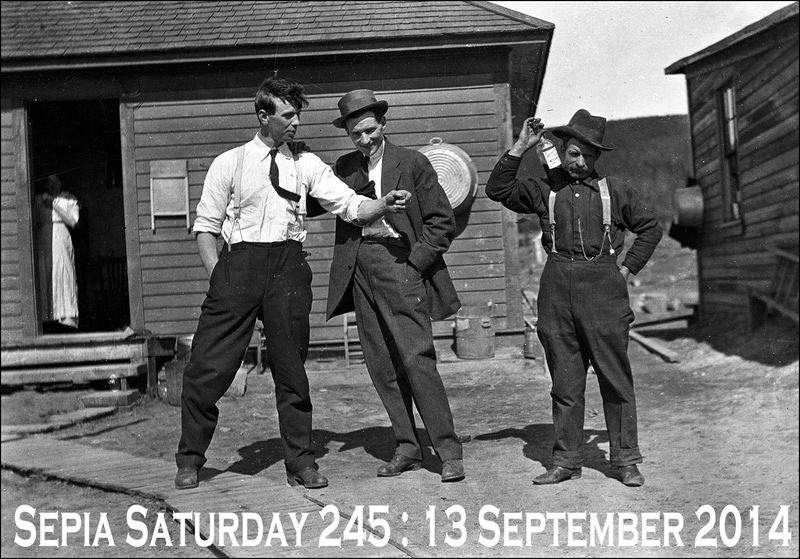 So for Sepia Saturday 242 - post your posts on or around Saturday 23 August 2014 - we are asking you to trawl those archives for fans, faces, national costumes and hidden meanings. So post your post, add a link to the list below, and show what a fan you are of Sepia Saturday by visiting your fellow Sepians. 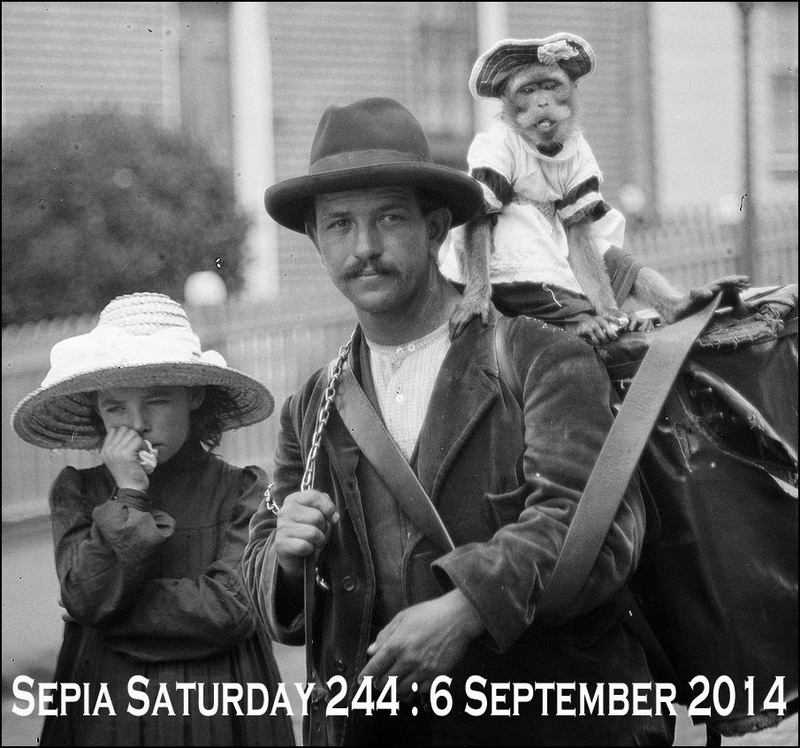 Before you go off wafting around, you might want to take a look at the next couple of Sepia Saturday theme images. Back to the fans (that tends to make you a bit cold). 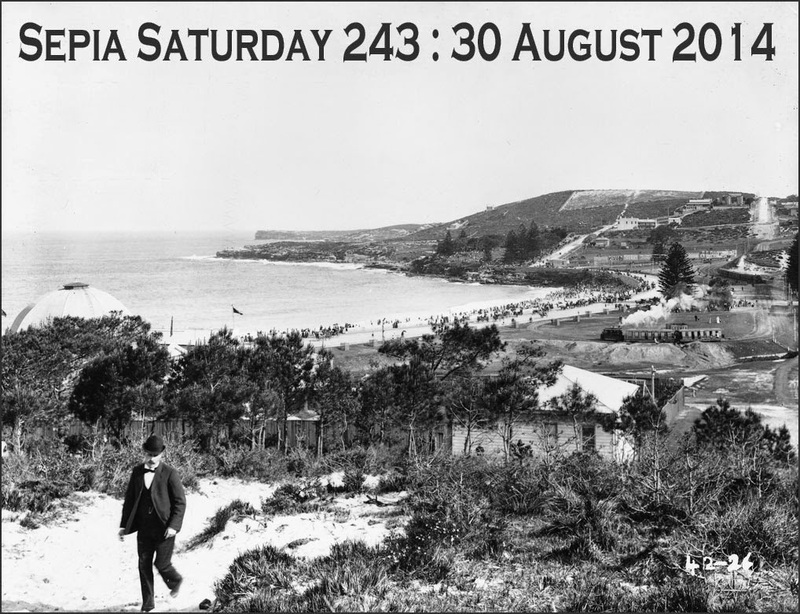 Time to look out your old photos for Sepia Saturday 242. "And don't forget to write" was a phrase lobbed at the back of many a departing relative in years gone by. Whether it was husbands marching off to war, kids skipping off to college, or Auntie Mary returning to her cottage in the next town, writing letters home was once as common as a quick text message to say "home safe and sound". But unlike texts, letters home were once far richer sources of history, packed as they were with thoughts, impressions, memories and gossip. Our theme this week revolves around letters home and you can interpret it as widely as you want. It might be letters, it might be cards, it might be writing, it might be people far away from home. All you need to do is to feature an old photograph and tell us a little about it. Post your posts on or around Saturday 16 August 2014 and then link your post to the list below. And then celebrate the theme by keeping in touch with all your fellow Sepians by a quick visit and a few well chosen words home. Before you put digital pen to paper, take a look at what is coming over the next few weeks. I suspect I am about to be arrested. The charge? False pretences. Pretending to be a sober, reliable, competent, Sepia Saturday administrator when, in truth, I can't even get the weekly call up on time. 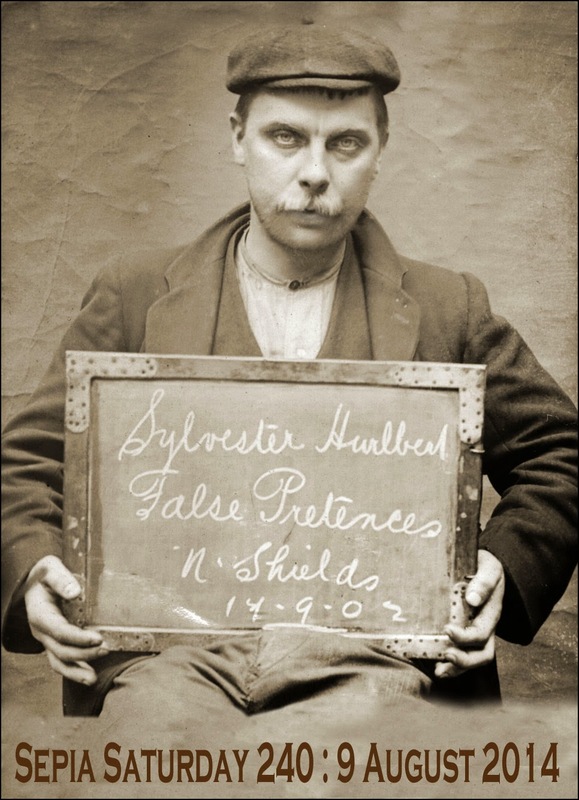 And when I am arrested, I will be taken away and one of those photographs will be taken, just like the one of Sylvester Hurlbert which comes from the Flickr Commons stream of Tyne and Wear Archives. If you have any criminals in your family background and have photographs of them, then you could post those. Equally, any official photograph would fit this theme and allow you to avoid the charge of posting under false pretences. Indeed any portrait will do and, don't forget, you won't be charged with treason if you ignore the theme and post any old photograph you choose. All you do is to post your post on or around Saturday 9th August and link to the list below. Before you are led away into the prison cell of sepia contemplation, perhaps you would like to read the charge sheet for the coming weeks. Right, that's your exercise time all gone. It's back to your cell. Time to do your time. Time to put your post together for Sepia Saturday 240.